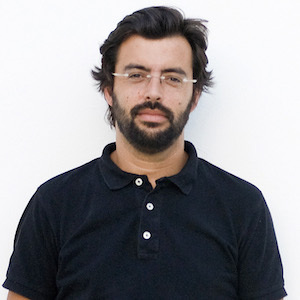 Nuno Faria is the current artistic director of CIAJG – José de Guimarães International Centre for the Arts, in Guimarães, Portugal. Between 1997-2003 and 2003-2009 he worked in the IAC – Contemporary Art Institute and the Calouste Gulbenkian Foundation, which are both in Lisbon, Portugal. Nuno has worked and lived in the Algarve (1997-2012) where, among other projects, he founded Mobilehome – Nomadic, Experimental and Independent Art School. He is also a guest teacher at ESAD – Escola de Artes e Design das Caldas da Rainha.